Wrinkles on his face were witness to many experiences he had in his long life, but his enthusiasm and outlook towards life would put any teenager to shame. “Terrorists came and held us hostage. They would threaten me and my wife that they would kill our two daughters if we didn’t co-operate. Moreover if this information was leaked out to the police and the army then, they would come and beat us, abuse us for being “anti nationals”. We were punished from both sides”, said Khan Chacha, with a smile on his face. I still remember that smile of his. That grin belittled the Himalayan Range, as he sat facing his back to it. It seemed as if he had absorbed all the stillness and calmness of the Himalayan Mountain. Just as the storm and the avalanche don’t affect the mountain, Khan Chacha seemed unperturbed even after the tempest in his life. His nonchalant confession was like a slap on our face. Even though having all the comforts in life, our groaning from a tiring day at work seemed so petty and fake that day. I may have appeared like a fool to him, but I had to ask him whether he earned well after undergoing so much physical strain. He said, “I earned sufficient to feed my family and myself.” This wasn’t just a reply. It was something which we may have forgotten in our “metro life”. We have knowingly or unknowingly mixed our need with greed. There was one confession he made which left me spell bound. It has remained etched in my mind ever since. He said, “There are days when we have abundant ration so we eat to our hearts content but there are other days too when there isn’t much food so we end up eating less… But we are HAPPY in either situation.” I was embarrassed on myself as non-availability of my favourite flavour lay chips few hours back had utterly disappointed me. Hearing this it made me feel so small. We end up making trivial issues so big and unnecessarily important that life seems impossible to conquer. By now I was completely floored by his talk. I was in complete awe of this person who though appeared old and feeble but was the real hero, an inspiration and a teacher. It was a moment of enlightenment for me. I realized how futile it was to look out for spiritual gurus, motivators, counsellors; When a simple, rustic, uneducated man could come and teach you the meaning of life and all its complexities in the most simplistic manner. Truly after that discussion, I understood why such people are called as ‘Guide’. Coz they not only guide you through a new place but also guide you in life. Posted in Guide, Happiness, Kashmir, Life, Real People, Teacher, Travel Diary.Tagged Guide, Happiness, Life, Real People, Teacher, Travel. Thanks a lot Akshay for your kind words!! 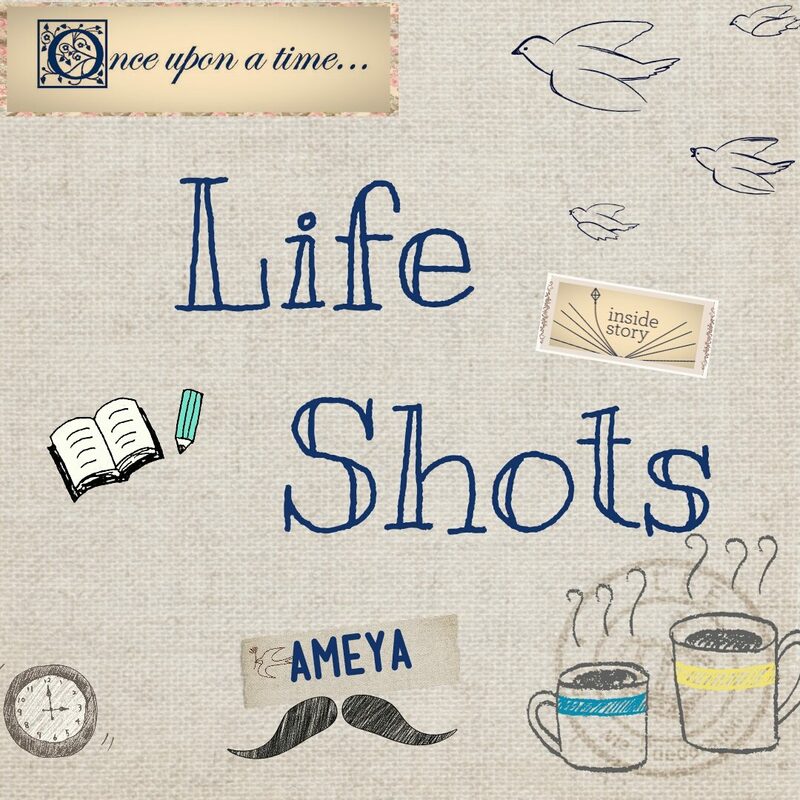 A wonderful, natural and raw way of portraying simple truths of life…Way to go Ameya….amazing work! Thanks a lot Krishnaraj! Thank You for reading and appreciating the post. Very well written ameya. Fact of life everyone nneds to know. Early the better. Ur a pro now. Keep it up. Thats really sweet of you to say that. Thank You so much. It really means a lot. Thank You for your feedback. Thanks a lot Pradip for reading and thank You for your kind words. Well said Sir. The simple truths of life is often taught to us by the experiences in our life. Thats the way how life teaches us in its own way. Hi Ameya,once again a very well written,straight from the heart,article.Yes,happiness is a state of mind we choose. These are things, we more often than not,learn from simple people. Keep it going son,your doing a great job.God bless. Thank you so much. Yes, agree with you. But most of the times we complicate our own lives in search of such simple truths. Thank You for all the appreciation and best wishes. Well written article shows to prove learning never stops. There is a difference between intelligence and wisdom. Wisdom has nothing to do with traditional conventional education we rote learn our way through childhood. It’s something we learn from experiences both good and bad. Well said Anish! Its true, wisdom is acquired from the experiences of our life. Thats the greatest teacher one can get. A truth known to everyone but nobody realize and how simply you defined it. What is “Happiness”. Beautifully written. True. But most of the times knowing the truth isn’t enough. Accepting it and trying to work your way around it, is what defines how well has one lived his life. Thanks a lot Manav for all the appreciation. Its extremely difficult to adopt such an attitude towards life… hats off to chacha for doing it even in such circumstances and moreover making it sound so simple and easy..very inspiring indeed… kudos to you, Ameya for yet another amazing article!! Very true Abhijit. You have rightly said it. Its usually people like Khan Chacha who redifine the true meaning of life. They are the ‘Guide’ in true sense, who not only sail through adversities but mock at them with a new zest and valor. Moreover silently inspiring many seekers like me in course of their journey. Hey Ameya, once again , a truly inspiring write up! Waiting for more to come…..
Its extremely humbling to see such appreciaton and support. I just realised I have so much to be happy about. . It’s a choice really. . To be happy. . Simple yet profound.. a good read.. Thank You for taking the time and going through the post. I am glad that you could connect with the thought underlying the story. Happy reading and keep commenting. What we choose decides the path for happiness. Yes, Ameya. These folks who face daily hardships for their daily bread value the smallest of pleasures. Their need is peace and happiness. We, who are bestowed with ample are still searching for that elusive happiness. Extremely Sorry, for not being able to reply to your wonderful feedback. Really appreciate your valuable inputs and observation. Best wishes to you and your family for a fulfilling 2016!